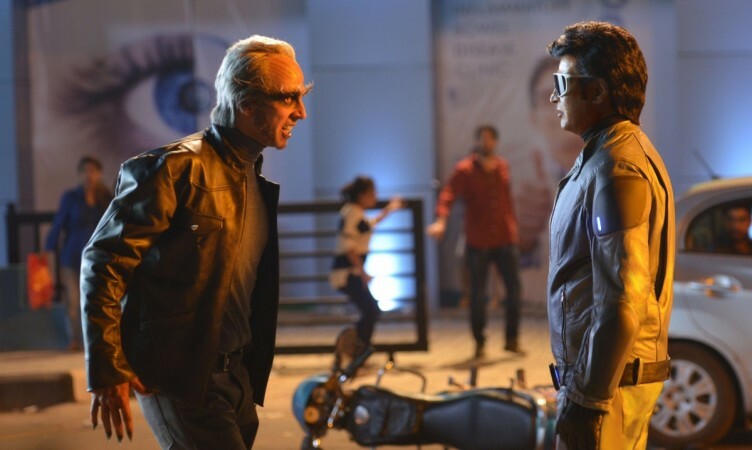 The Hindi version of Shankar's 2.0 starring Rajinikanth and Akshay Kumar collected Rs 7.75 crore at the North India box office, taking its 8 days first week total Rs 139.75 crore net. The Hindi version of Shankar's 2.0 starring Rajinikanth and Akshay Kumar has concluded the first week with a decent collection at the North India box office with its total inching closer to Rs 150 crore net mark. Several aspects had generated massive hype for the Hindi version of 2.0, which made everyone feel that it would beat some records of Baahubali 2. But the distributors messed up their release plans with the Kannada film KGF, which ended up delay its advance booking and getting it a below-expected opening. But a strong word of mouth boosted its collection over the weekend and 2.0 collected Rs 95 crore net at the north India box office in four days. The movie witnessed drop in its collection on Monday, but it still looked better than other big ticket Hindi movies of the year. It remained rock-steady on Tuesday and went on to become second highest grossing Hindi dubbed film after Baahubali 2. Taran Adarsh tweeted on Dec 5, "#2Point0 sets new benchmarks...*Is now second highest grossing *Hindi dubbed* film, surpassing *lifetime biz* of #Baahubali [first part]. *Rajnikanth's highest grossing film ever [#Hindi]. *Will emerge Akshay Kumar's highest grossing film today [Thu; Day 8]. HINDI version." 2.0 has collected a total of Rs 42.50 crore net at the North India box office on the weekdays, taking its total to Rs 139.75 crore net. Taran Adarsh tweeted, "#2Point0 has an EXCELLENT *extended* Week 1... Week 2 holds the key... Will give an idea of its *lifetime biz*... Thu 20.25 cr, Fri 18 cr, Sat 25 cr, Sun 34 cr, Mon 13.75 cr, Tue 11.50 cr, Wed 9.50 cr, Thu 7.75 cr. Total: ₹ 139.75 cr. India biz. Note: HINDI version." 2.0 has beaten the record of Badhaai Ho (Rs 136 crore net) and has emerged as the sixth top grossing Hindi movie of 2018. It has become the highest grossing film for Bollywood superstar Akshay Kumar, beating the record of Toilet: Ek Prem Katha, which was his highest grosser with its lifetime collection of Rs 133.60 crore. Here is the list of his top-grossing films.